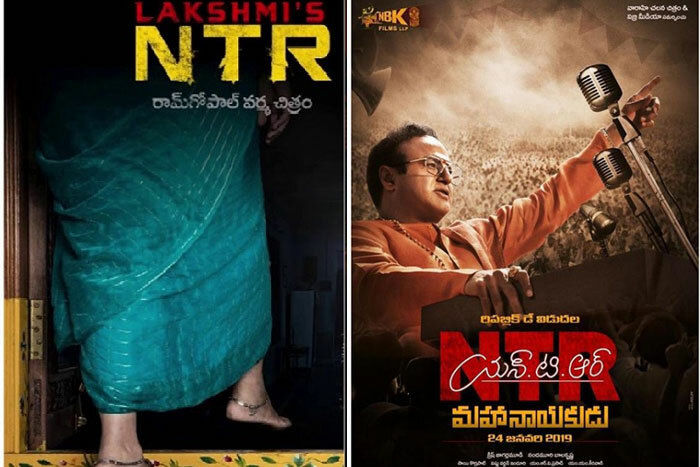 Maverick director Ram Gopal Varma as announced earlier has declared release date of teaser and trailer of his film Lakshmi’s NTR, after makers of Balakrishna’s NTR Mahanayakudu announced to release their movie on 22nd of this month. While teaser of Lakshmi’s NTR releases on Feb 14th at 9:27 AM, trailer will release on 22nd. RGV also stated that, those who go to watch NTR Mahanayakudu in theaters will get to see trailer of his version of NTR Biopic. “Trailer of #LakshmisNTR releasing 14 th feb 9.27 AM and Theatrical Trailer will release on Feb 22nd with Mahanayakudu ..So whoever comes to the theatre to see Mahanayakudu can see the trailer of #LakshmisNTR,” tweeted RGV. Currently post-production works are underway for the film. RGV also posted a video showing his music director Kalyani Malik along with his troupe working on BGM. Almost new artists who resemble NTR, Chandra Babu Naidu etc. are roped in for the film which is likely to release in next month.